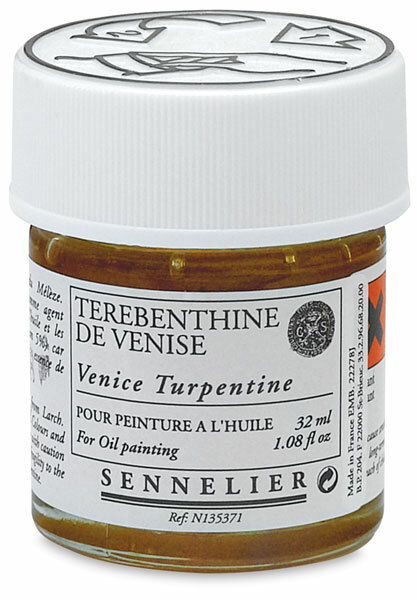 Add to oil paints, mediums and varnishes for an exquisite jewel-like quality and tough, enamel-like surface. Derived from European larch trees, this resin has the consistency of honey and is offered in its pure, undiluted state. 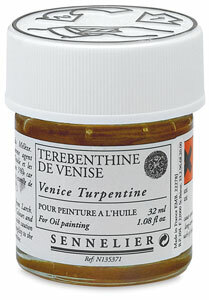 Dilute with 20% turpentine and use sparingly to a 5% maximum of the total paint mixture.